Create beautiful and responsive event registration websites for your conferences and events using our easy-to-use drag and drop event builder. Showcase your brand, and incorporate video, graphics, and content that engages your prospect attendees and encourages registration. Employ our included facial recognition check-in to reduce lines and increase event security. Create engaging conference programs, distribute content, connect attendees and discover leads. Engage and nurture all of your attendees before, during, and after your events, creating influential communities around your cause, product or brand. Stop passing the microphone for Q&A, use mobile devices to let attendees interact with speakers, conduct session surveys and polls. Distribute content to attendees. Share multi-track programs, speaker bios, documents, presentations, videos and photographs pre-, during and post-conference. Allow attendees to build their itinerary and encourage conversation around shared materials. Extend the lifecycle of your conferences by inviting post-conference virtual participation, nurturing ongoing community engagement. LIKE WHAT YOU SEE? SCHEDULE YOUR PERSONAL DEMO TODAY! 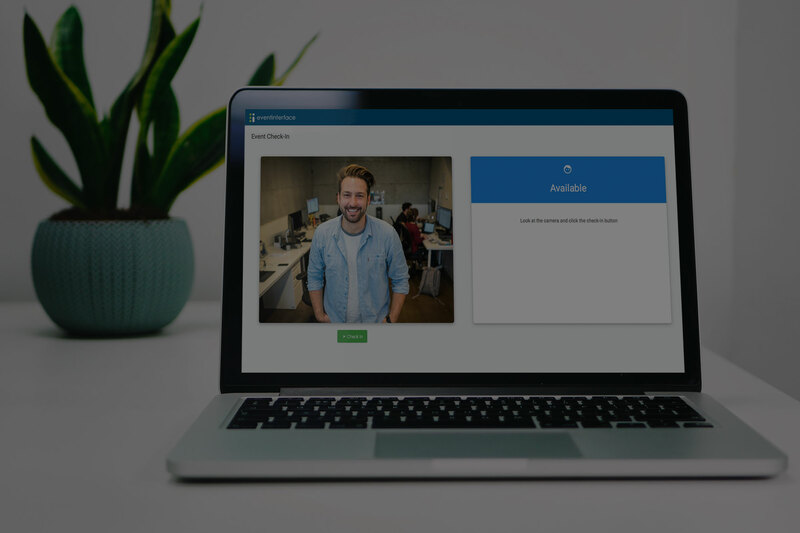 Minimize lines, allow for self-service event check-in, and increase event security with our included facial recognition event check-in. 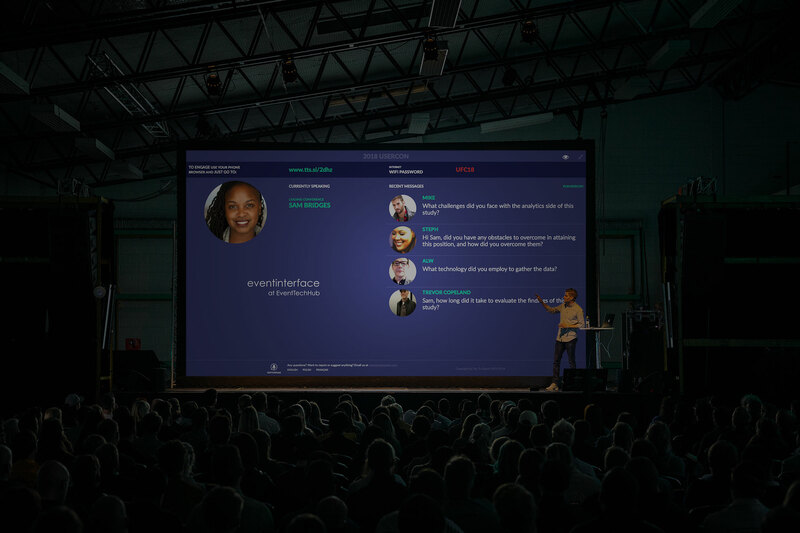 Eventinterface is a full-featured and easy to use platform to market and manage your conferences and events, and engage your attendees. It’s all about your brand, your design, your event goal. 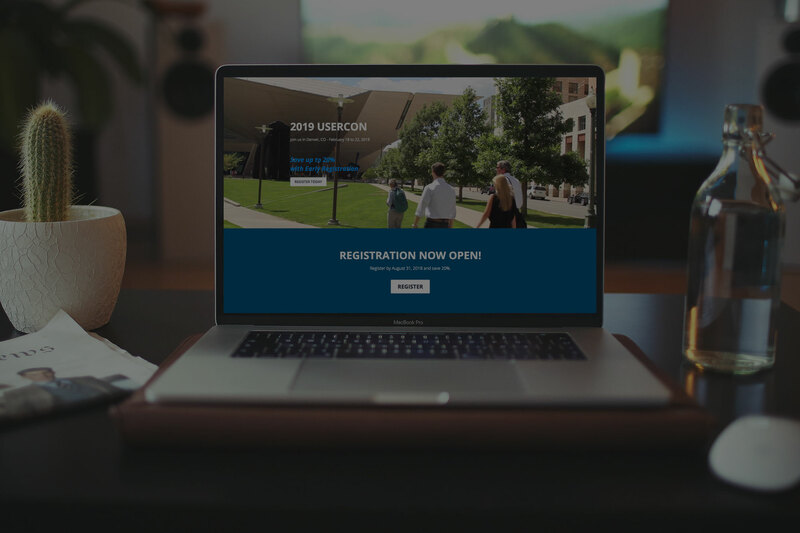 Create custom and responsive event registration pages using our flexible builder. Your attendees are signed up. Now what? Offer value by deploying engagement tools. Invite attendees to build their event itinerary, connect with other attendees and book appointments. Long lines are a thing from the past. 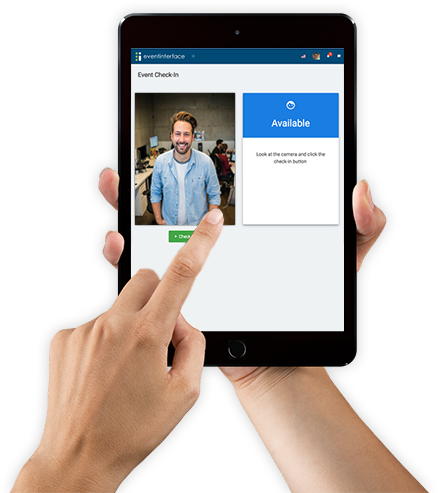 Use our facial recognition check-in to quickly and securely check in your event attendees. Stop passing microphones and paper surveys! Invite attendees to engage with speakers and participate in	surveys straight from the event program, and share results immediately with attendees. Forget expensive ticket or registration fees, our all-inclusive plug and play platform offers unlimited events and registrations for a flat fee. Not happy with your current registration provider? We make it easy to switch. We understand the challenges and pain points of implementing a new solution. We are here to help and assist you in building your first event, and provide you with free training to make the process of switching as painless as possible for you and your attendees. Eventinterface always offers unlimited registrations, all platform features, and unlimited planner users. We never charge per registration fees. Our fees are based on the number of events you are running. Select a subscription plan that works for you. Pay monthly, or save more with quarterly or annual payments. Events are expensive to produce. As planners you have deposits and vendors to pay. Your registration page links to your merchant services, PayPal or Stripe. Registration, sponsor and exhibitor fees are deposited directly into your account. You do not have to wait for Eventinterface to transfer your funds post-event. Eventinterface has been designed by meeting professionals with tons of planning experience. Most of our team members have planned events and understand the problems you are trying to solve. We know there are tons of registration options out there. We are different. Eventinterface has been designed with the mission to extend the lifecycle of events and increase ROI for all of your event stakeholders. The registration is the seed that sets in motion opportunities for registrants to engage with other attendees, and around content. Onsite engagement tools invite speakers to use mobile devices as microphones, and to conduct polls and surveys in sessions.